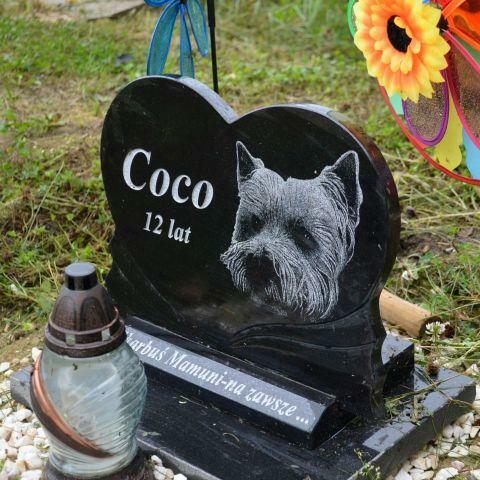 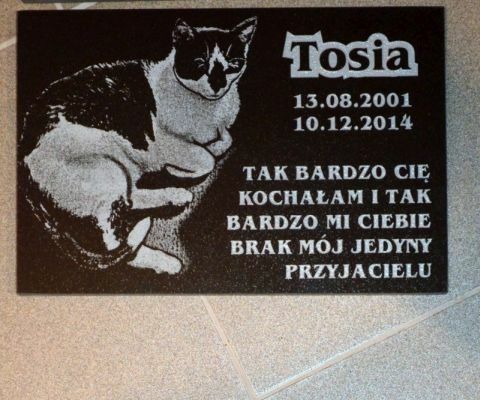 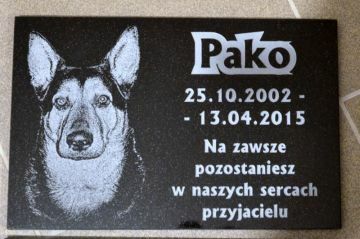 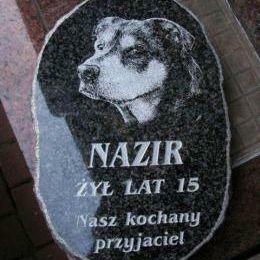 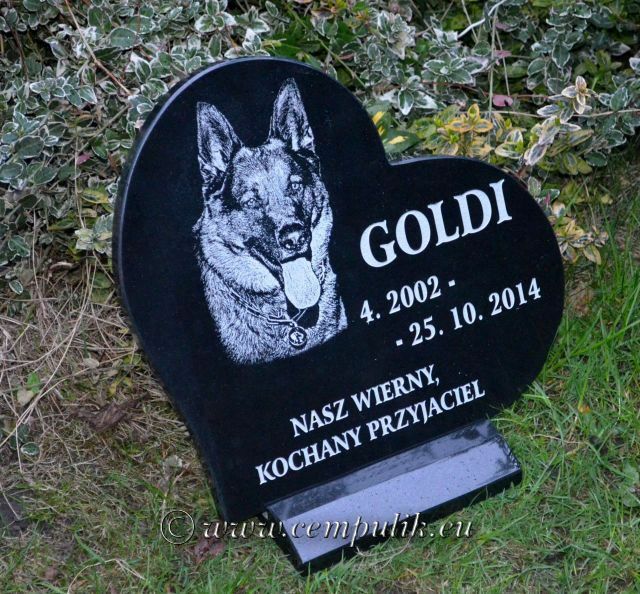 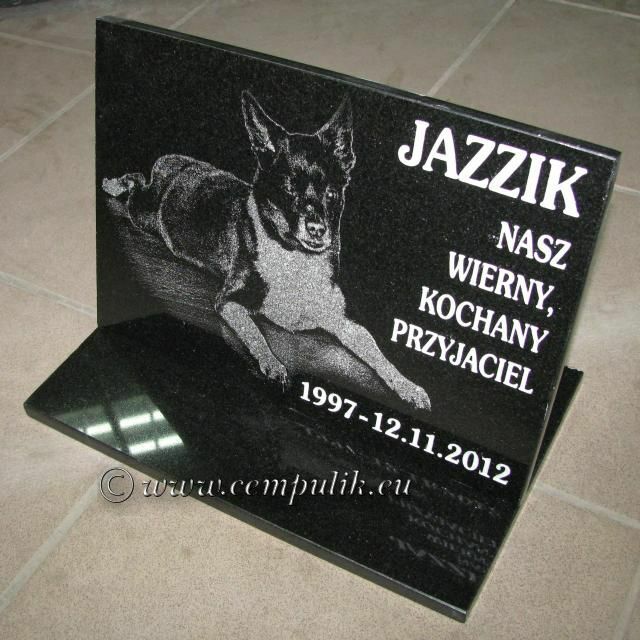 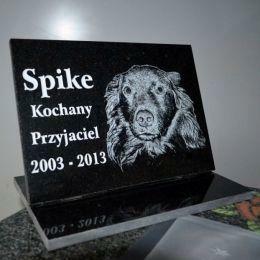 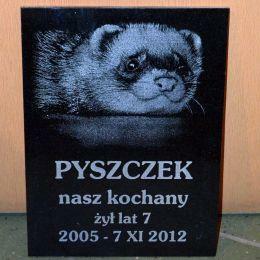 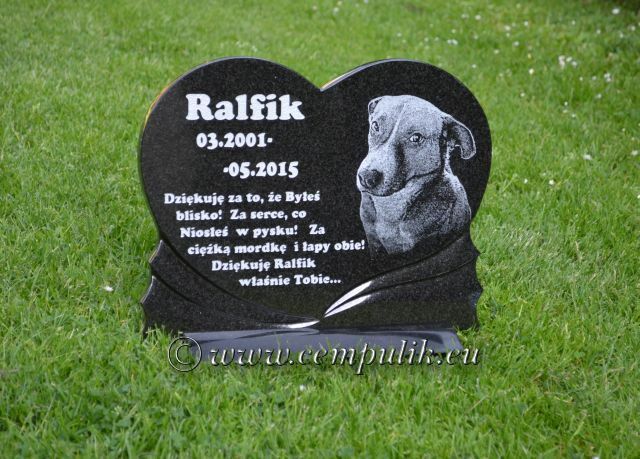 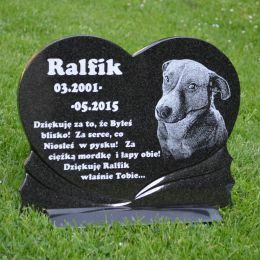 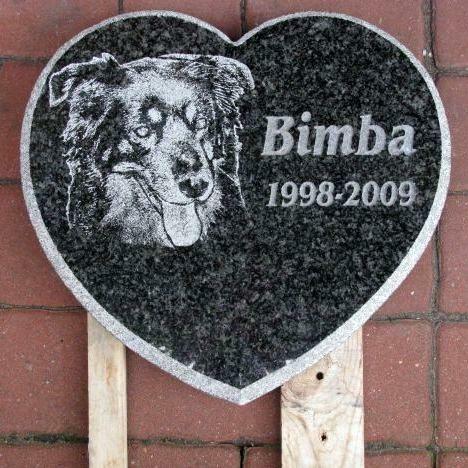 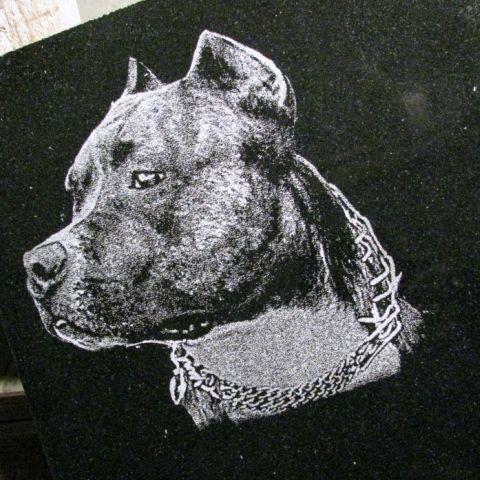 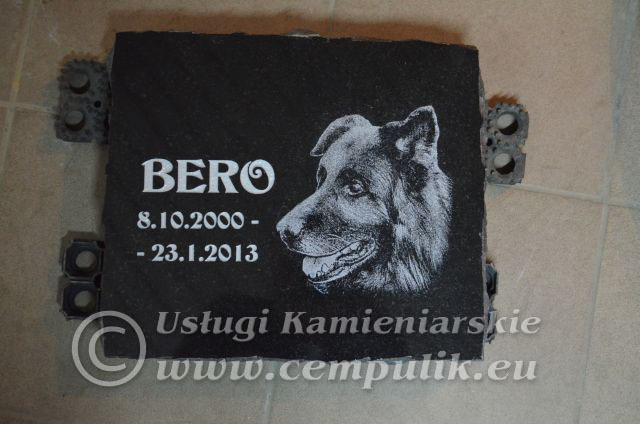 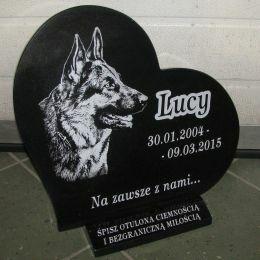 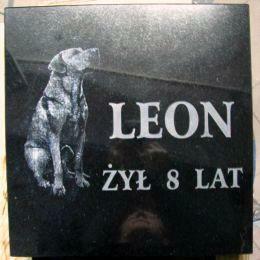 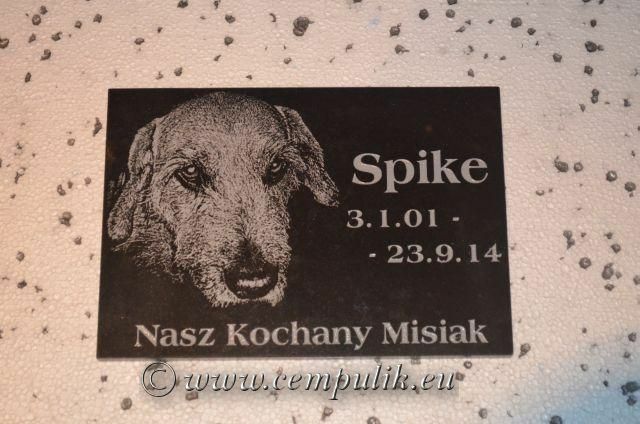 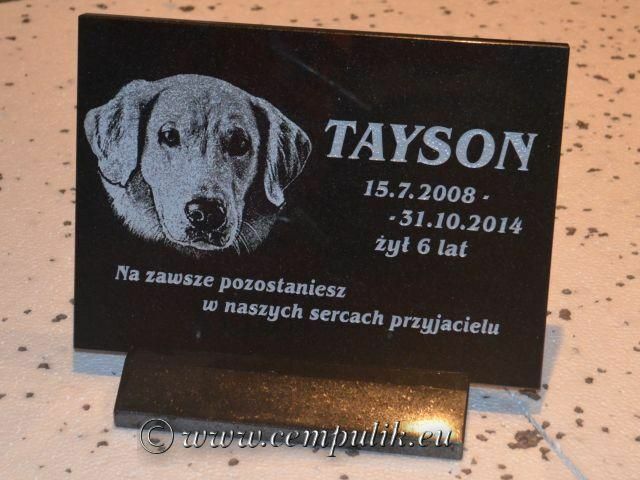 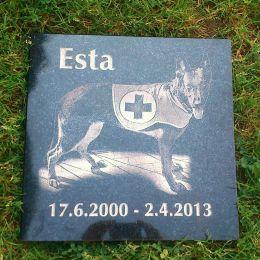 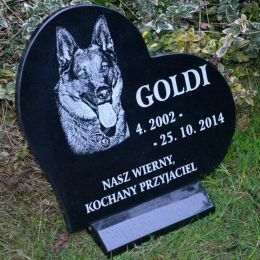 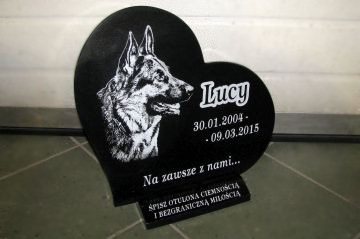 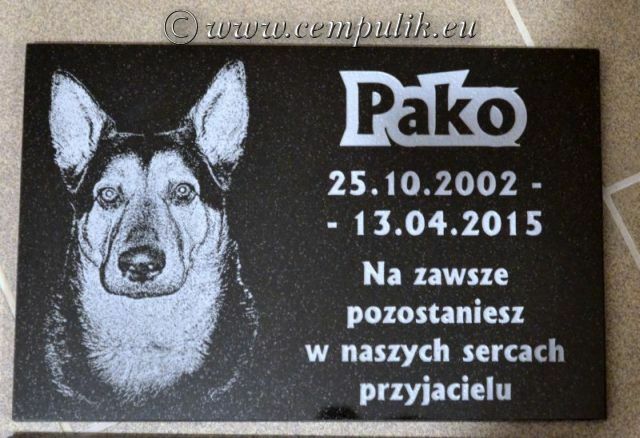 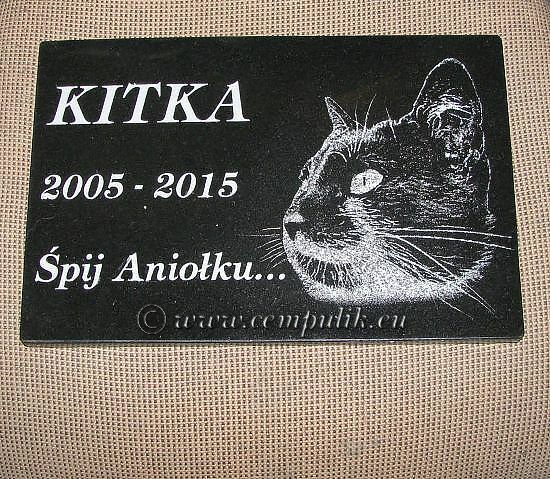 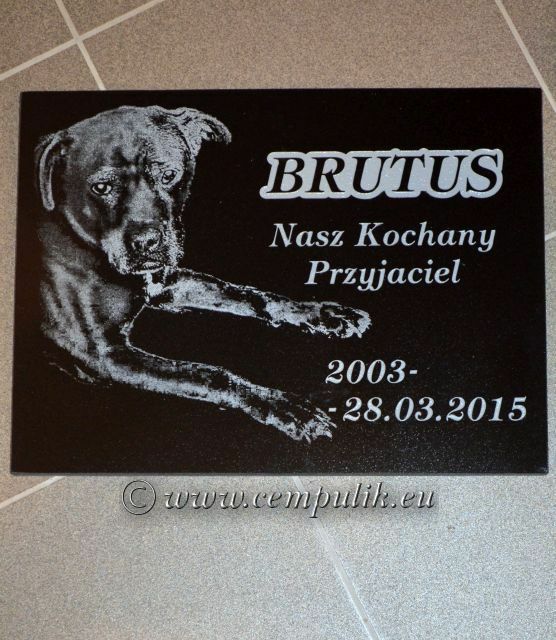 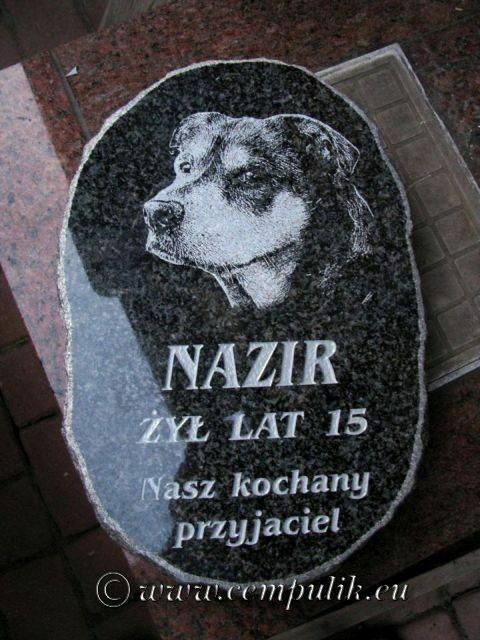 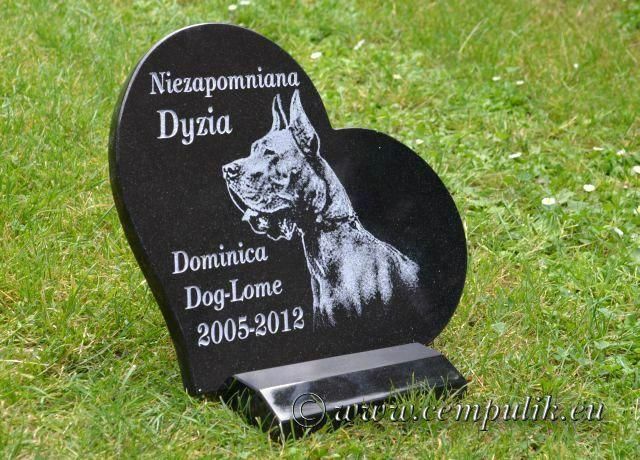 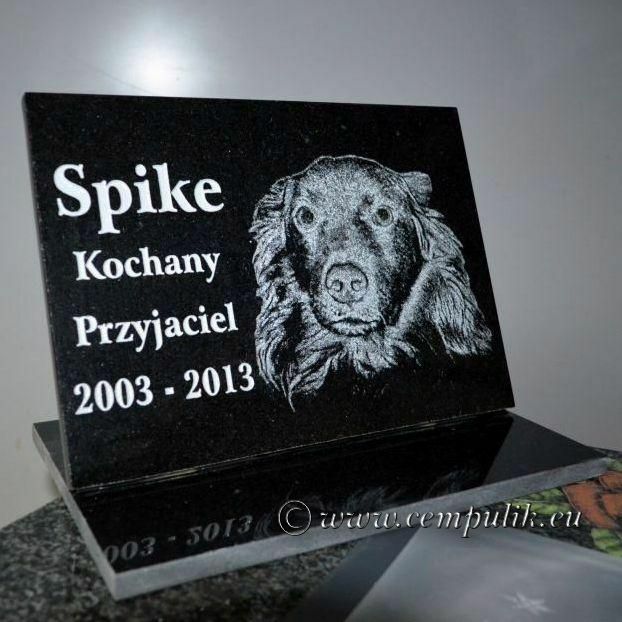 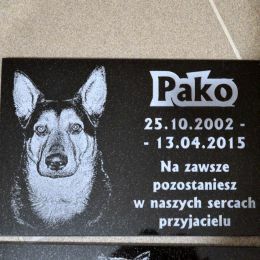 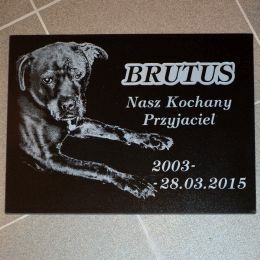 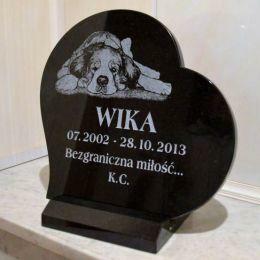 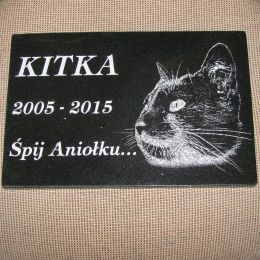 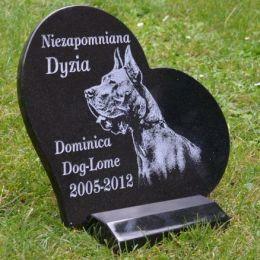 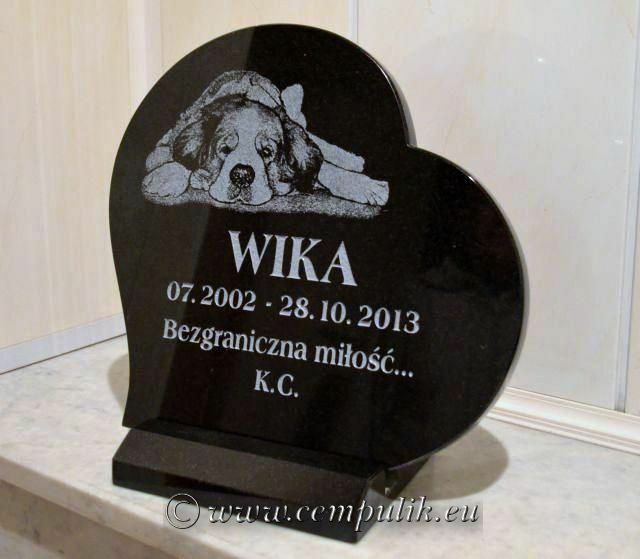 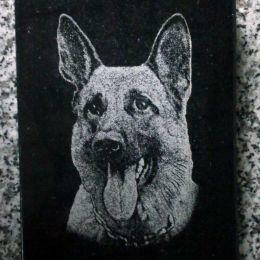 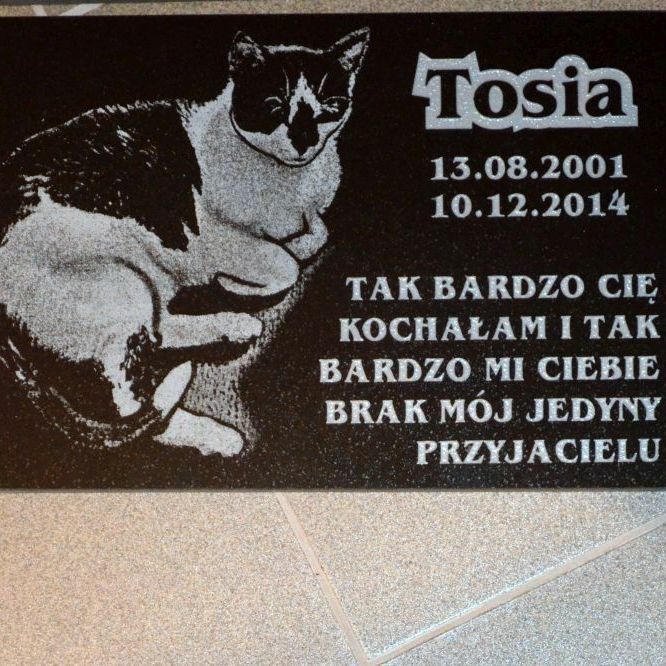 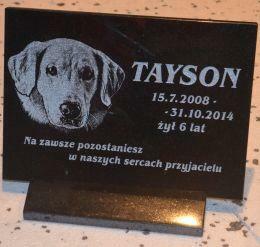 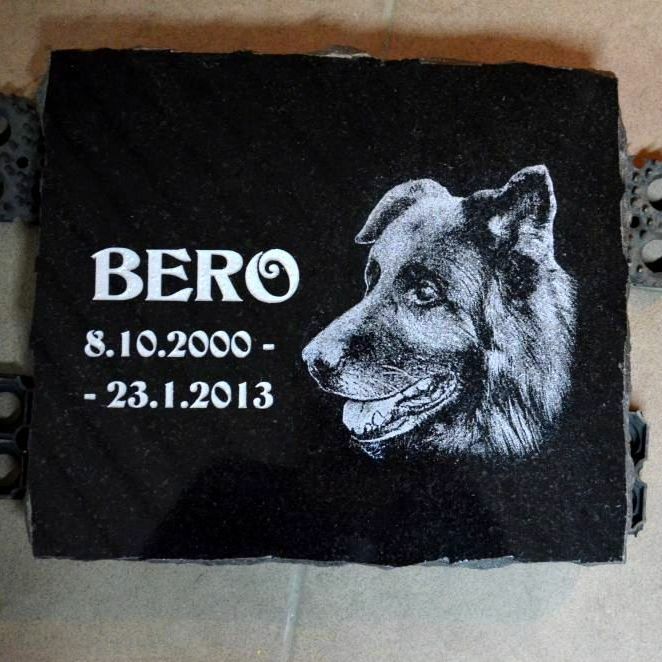 We are the producer of the gravestones for animals – cats, dogs, rabbits, fish, hamsters, horses, parrots… We make various models with the engraving from the photograph or without it, with one or with many colors. 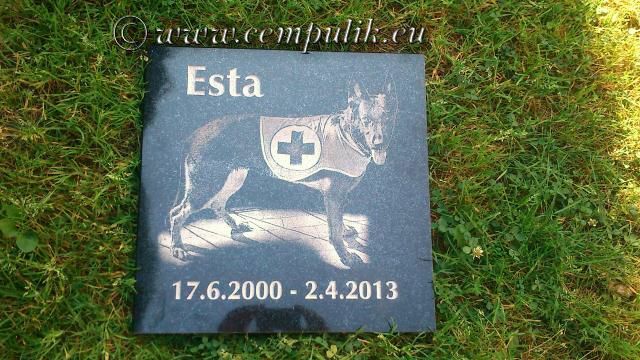 We also make individual ideas of the customers, including reliefs and sculptures. We make our works out of natural stone – granite, which is available in several dozen of colors and patterns. 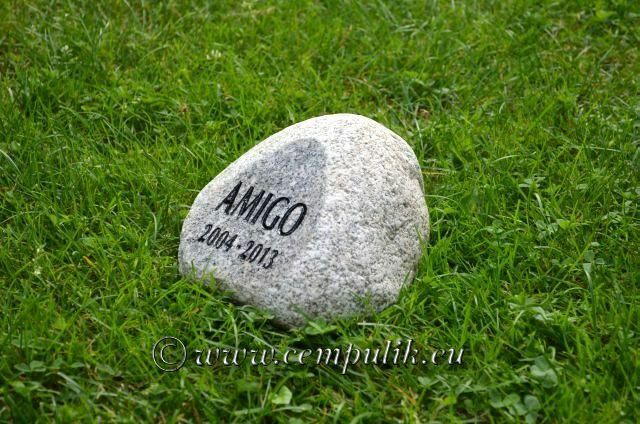 We do not use the materials which are similar to natural stone because they are not solid and they are difficult to clean. 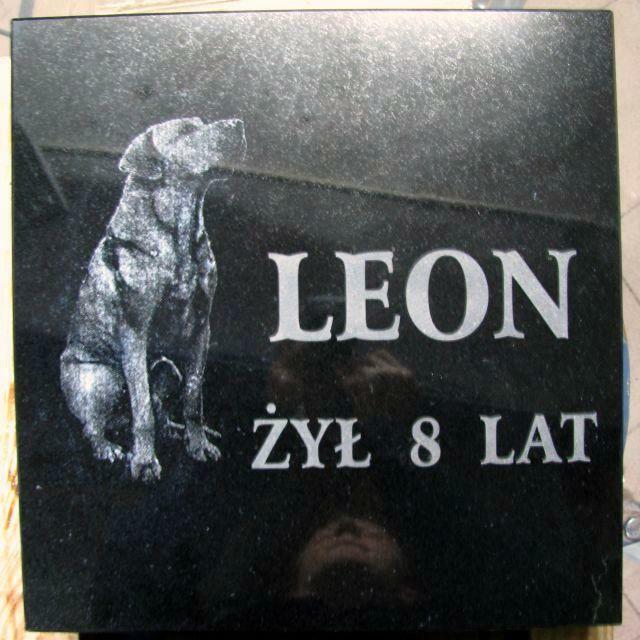 Depending on the model and the customer’s wish, we can mount the photographs of the dead on the porcelain, metal letters or additional incised plate. 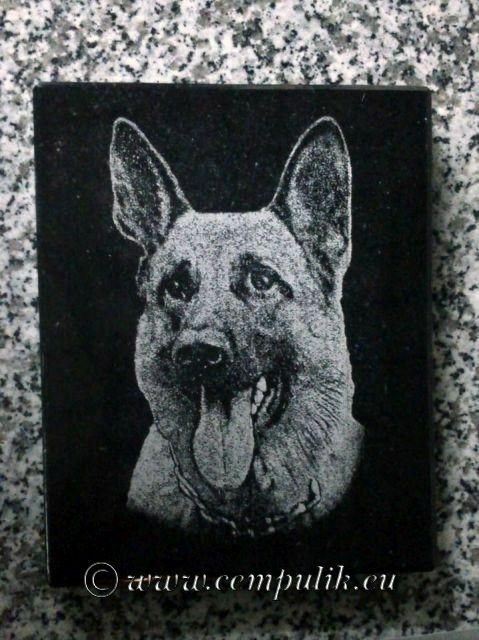 The order time is between 3 and 14 days. 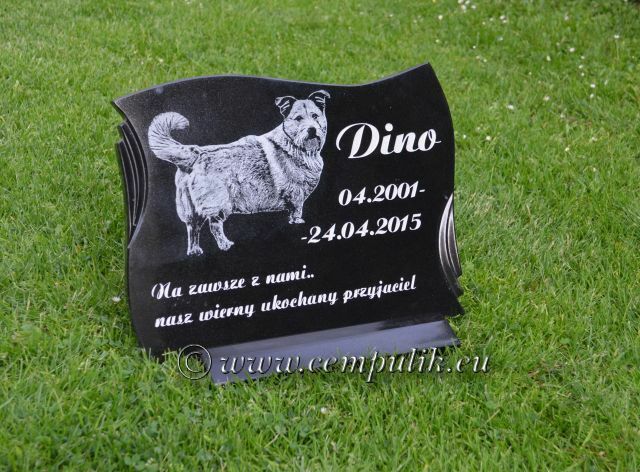 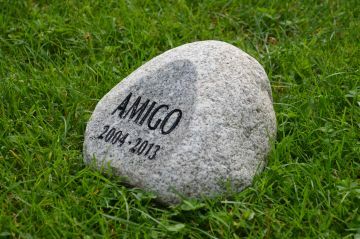 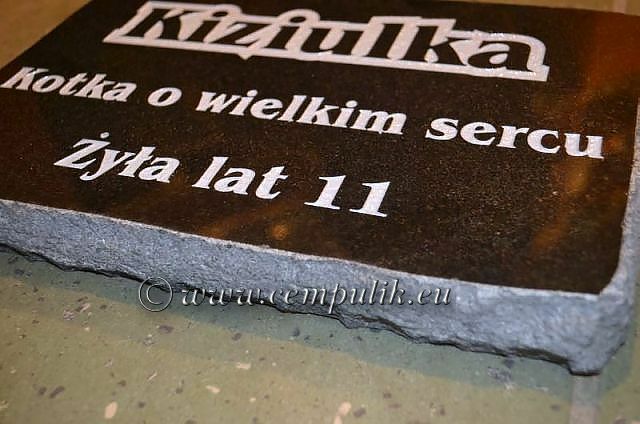 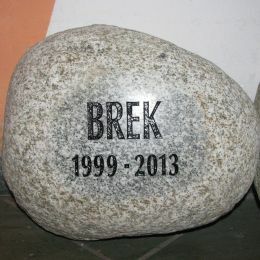 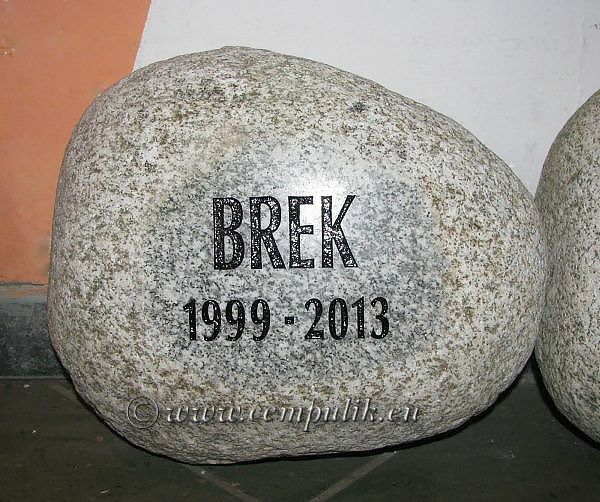 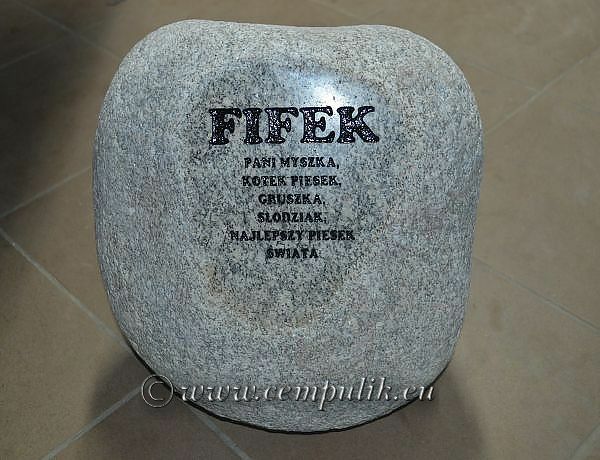 Ready gravestone can be collected in person in our business office or it can be sent by the Parcel Lockers or by shipping company (cost between 9 and 22 PLN). 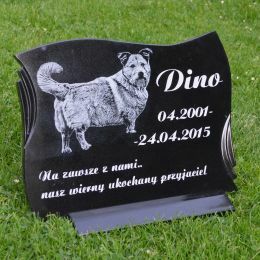 The delivered gravestone is already mounted, it is enough to put it on flat ground with no plants. 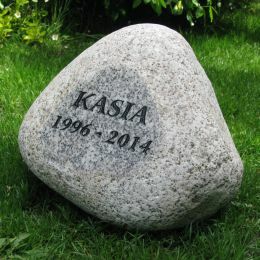 The gravestone can have pins in its base which can be stuck into the ground, anchored in the concrete or glued to the concrete base. 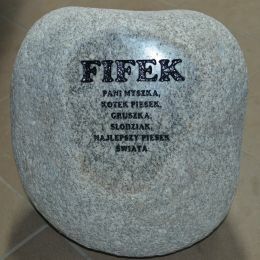 However, because of its weight, it is usually enough to put it at a chosen place. 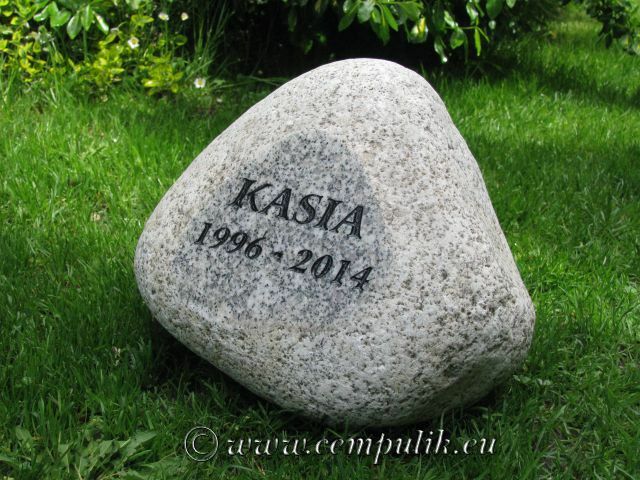 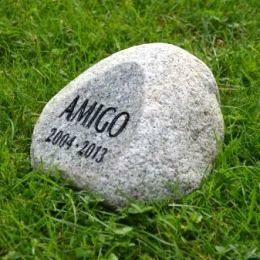 Every stone is different because the stone to select the appropriate inscription. 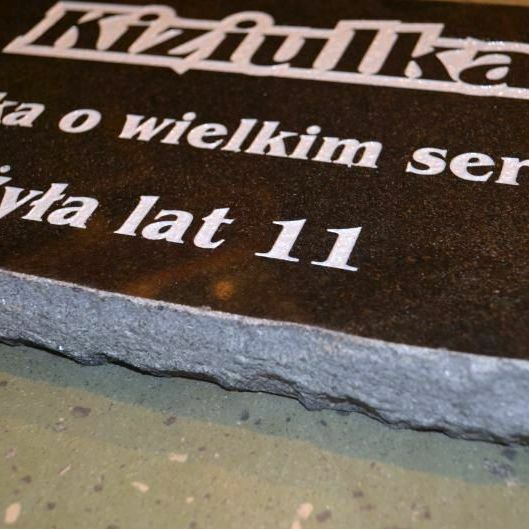 We cut stone to achieve an even surface and polishes it. 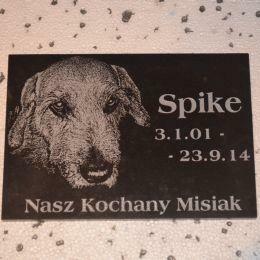 On the prepared surface we lettering.